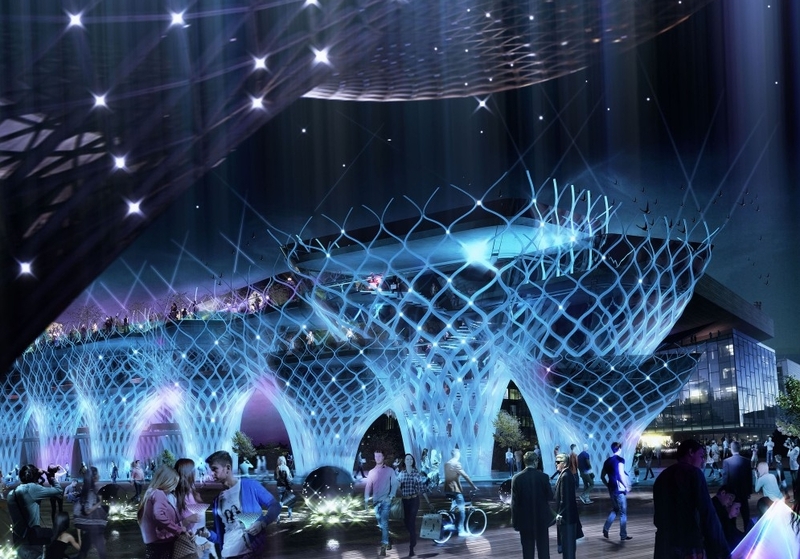 “New Wave Architecture‘s proposal (one of eight) for the 2015 Milan Expo demonstrates an essence of Iran brought together in a series of organic forms. The expo’s theme, “Feeding the Planet, Energy for Life”, is encapsulated the designer’s exploration in culture, literature and Iranian art. The conceptual idea behind New Wave’s proposal, The Persian Garden, reflects the cycle of a tree: the organism is fed by the soil, grows and blossoms, before nourishing people and spreading throughout the earth “to asset its support”” – can be read at the ArchDaily.